Overview: A non-profit, the Center focuses on the development of interdisciplinary research and programs in varied fields of knowledge, from science and technology to education and international relations. Allwyn’s Role: The client’s older website had loading issues along with restricted ability to update and market their website to suit their visitors. Allwyn revamped their site by suggesting a refined navigation menu and a cleaner, responsive look. 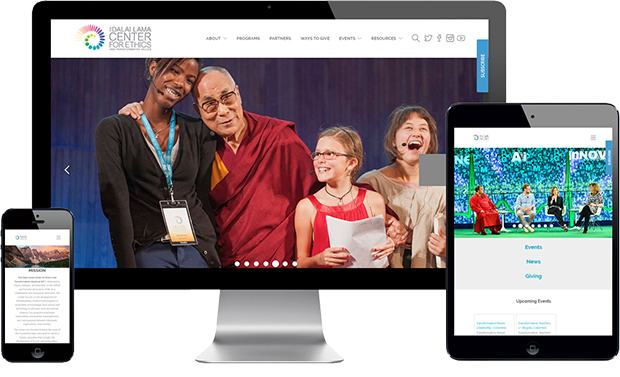 We also modernized the website by including social media feed on their home page, integrated an events plugin that would tie to their calendar and made news page searchable by categorizing them in a chronological order. Allwyn was a true partner throughout the process, working alongside us every step of the way with ﬂexibility and visibility throughout the process. Allwyn was patient as the project scope developed and changes became necessary, and they accommodated these changes with urgency and professionalism well after the engagement was completed. We had the opportunity to see our project develop throughout each stage from mockups of designs, to development of functionality and appreciated the ﬂexibility to make changes throughout this process on our conference calls and demos. The designs and user interface were clean and professional and reﬂected our vision for the overall user experience. Javier Preito – Chief Operating Officer. 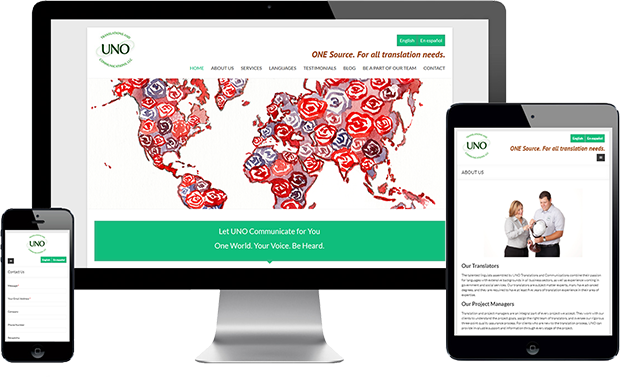 Overview: UNO Translations and Communications provide translation and interpretation services..
Allwyn’s Role: Uno translations approached Allwyn to redesign their website. They were tackling issues like spam submission through contact forms and inability to easily setup new pages. Allwyn has transformed their site according to their requirements and secured their submission form with CAPTCHA technology to prevent spam submissions in the future. The website is also now equipped to take resumes from potential translators which will be delivered to the management directly..
We had a website that badly needed to be updated. Allwyn took the reins of the project and ran with it. Before we knew it – they had updated our website and also gave us access to making future changes ourselves to the website. This was a service that was not available to us with our last vendor. I highly recommend them. They will work your budget and deliver the website on time. We are very pleased with their work! Overview: Dekalb Farmers Cooperative offer a wide variety of outdoor equipment that is sure to meet your needs. Such as, well known brands like Mahindra and Hustler Mowers. Their staffs farming experiences play a major role in how they do their business and how they relate to their customers. Allwyn’s Role: The client did not have access update or add new products to their website. This prevented them from advertising their latest offerings and sales. Our team worked with the client to design and mold their website, according to their needs and requirements. We not only reconstructed the website from ground up, but also setup meta tags for each page that would enable better SEO results. 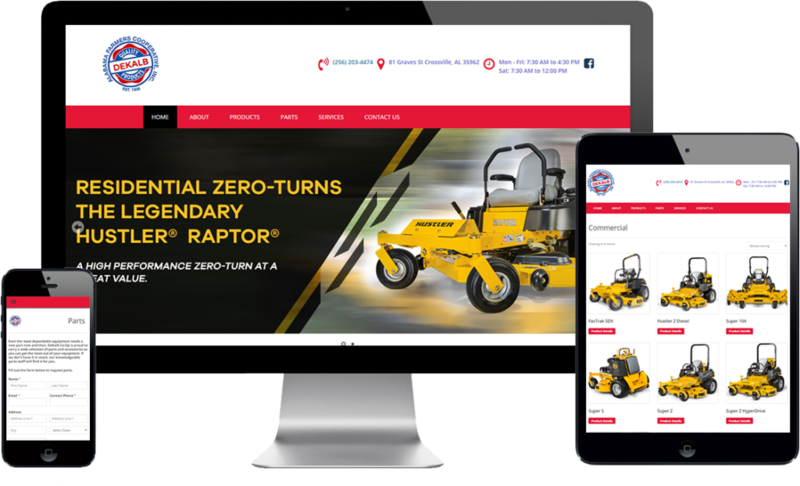 DeKalb farmers Co-op has been extremely pleased with Dealer digital efforts and performance in handling our multiple websites. Dealer Digital’s staff Has been nothing but helpful, courteous and attentive to our needs. We are very happy to be working with Dealer Digital. Overview: Provide free education and training to children without such access: enabling them to grow into self-sufficient and economically independent adults. Allwyn’s Role: Since 2010 when NSF was founded, we have been working with the founding members to create and maintain their website. We have evolved their website to keep up with their needs, adding features like credit card integration for donations, accepting scholarship applications, workflow to manage and award applications.